Last week as I was recovering from a bad cold, I read the book A Passion for Detail by the talented interior designer, Charlotte Moss. This book is outside the usual topics I pick up when I need some comfort reading (just like comfort food, I also rely on comfort reading to feel better :)), and it turned out to be just what I needed to get inspired for the coming week. This book was a wonderful joy visually, but also in that it opened my eyes to understand more of why I am an artist and why I love creating still-life paintings. Charlotte Moss believes that our lives are expressed in the little details. This is how I feel when I paint a still-life painting, as if the details of the objects unfold, sharing with me the spirit and enthusasim of life. With each new painting I get to focus on the nuances and the combination of details and textures that bring these objects to life. With paint I am expressing the intangible feelings that are aroused in me when objects are grouped, trying to evoke a sense of mood, and creating an atmosphere of calm and beauty to mentally wonder into. My favorite chapter of the book is Undecorating: the Attention to Detail. Objects give a house character. We accumulate things over time. We cherish them and display them prominently. They are assimilated into our daily routine. A paperweight. A brass change box. A bud vase. This process, which some call decoration, is really what I call “living.” It is a progression, not a single event. Forget the rules, arouse the senses, is the primary thrust of advice in this chapter, and in thinking about how engaging the senses makes for a more appealing and inviting home, I realize this also applies to creating art. The pieces that heighten my experience of life are always the ones that make a lasting impression. 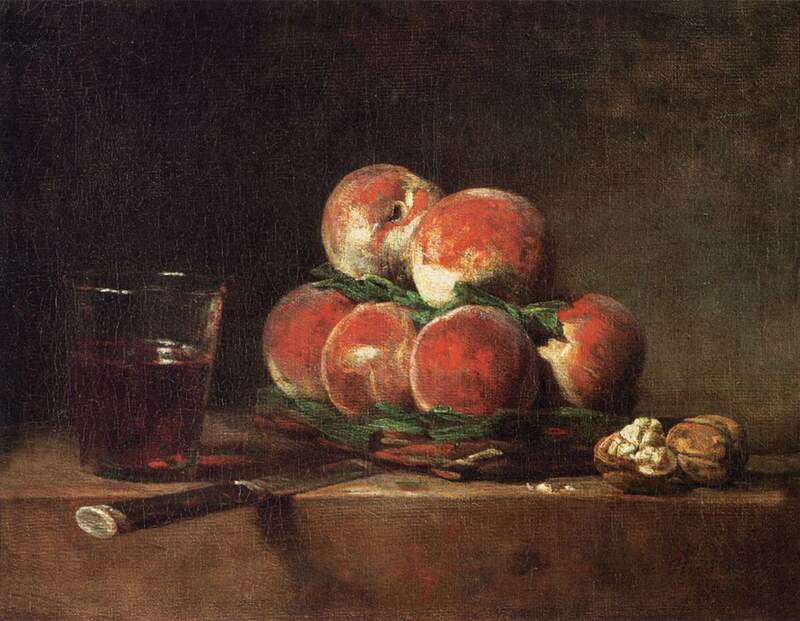 Still-lifes by Chardin do this for me, in that they celebrate the beauty found in the simple objects of life and this really resonates with me. So going forward, I will try to think about how I can arouse the senses in my work. How to make a painting visually exciting while also stimulating the senses of touch, smell, and sound. Also thinking about what will evoke memories and sensations? I was introduced to Charlotte Moss by the amazing ladies that host the “Skirted Round Table” podcasts, Megan Arquette of Beach Bungalow 8, Linda Merrill of ::Surroundings::, and Joni Webb of Cote De Texas, who have interviewed her twice. Here is the first interview, and here is the second interview. And I owe them a world of thanks for their interviews and broadening my world. 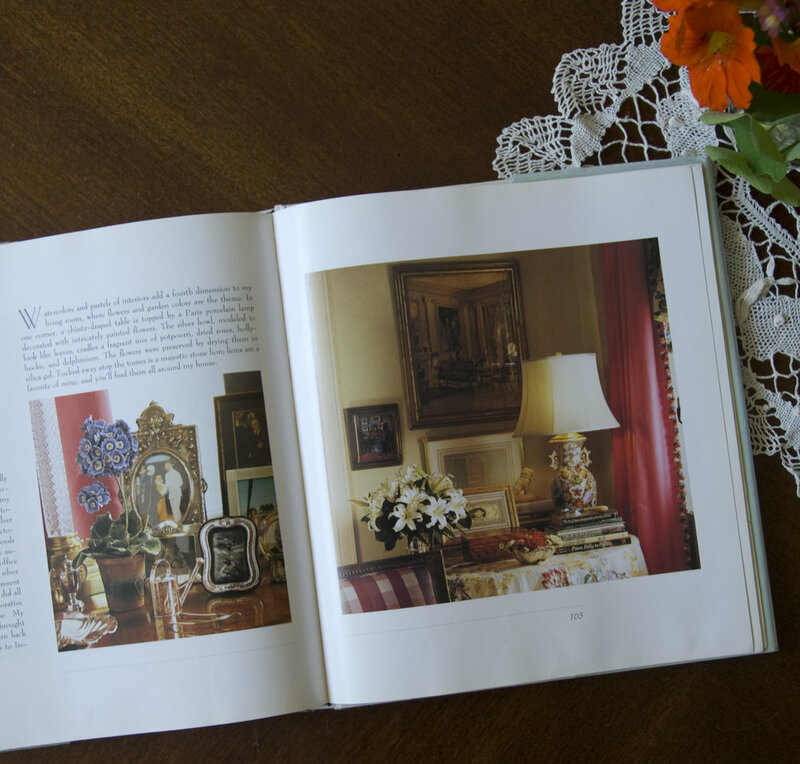 Images are photos of her book, A Passion for Detail, click on them to enlarge them and see the details in each vignette.